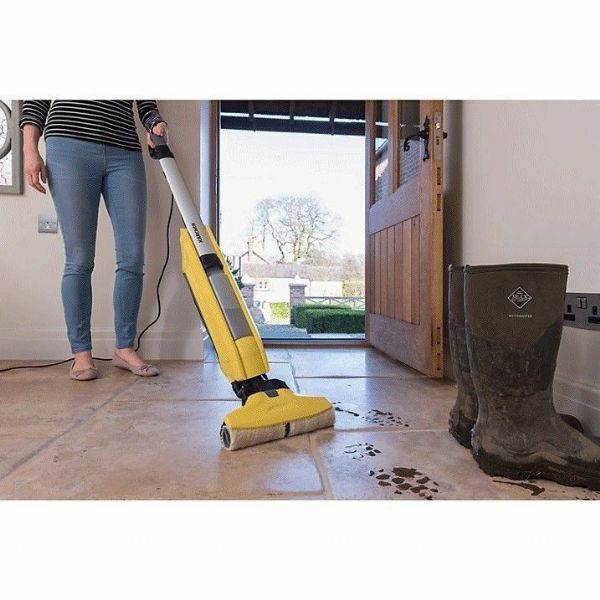 The FC5 Hard Floor Cleaner from Karcher uses innovative technology to wash and vacuum hard floors at the same time, and leave them perfectly dry in just 2 minutes. Whether you're cleaning hardwood, laminate, tiles or stone floors, the SmartRoller is able to vacuum up dust, small debris and pet hair, while controlling the flow of water to clean your hard floors gently yet effectively. 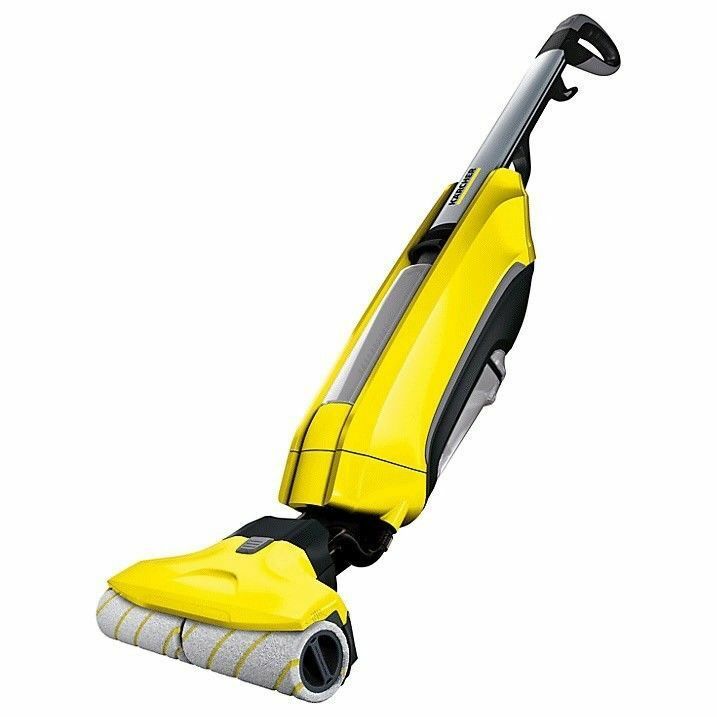 You can even add detergent to lift stubborn dirt and leave your floors with a fresh lemon or bee’s wax smell. 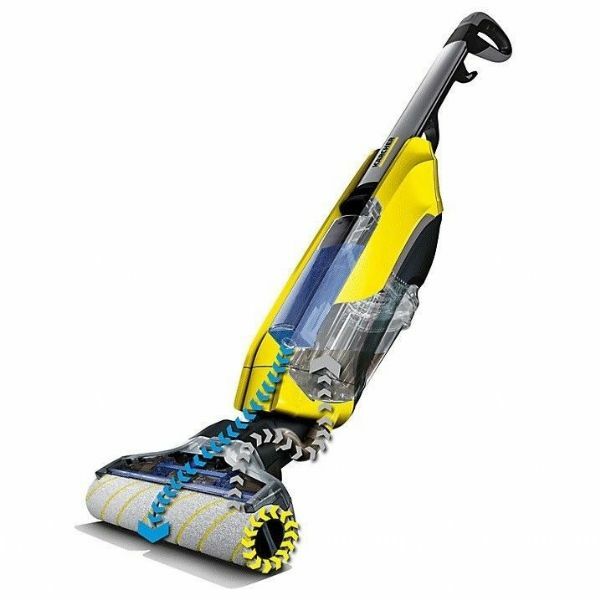 The microfibre rollers can be placed on and off quickly and easily, and are machine washable at up to 60°C. 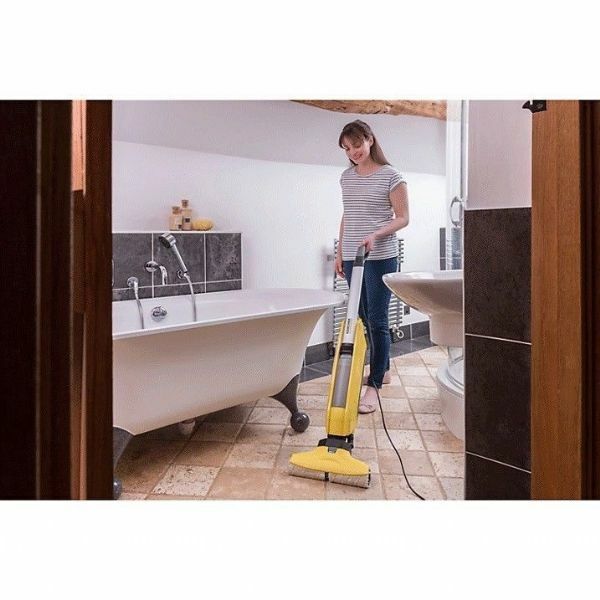 Thanks to Karcher's two-tank system, you can simply fill the fresh water tank under the tap, while the dirty water tank is removed hygienically, without having to come into contact with any dirt. The FC5 is light and manoeuvrable, making it effortless to push, carry and store. With forward rotating rollers, the machine moves across the floor almost by itself, while the flexible hinge on the cleaning head allows you to reach corners, edges, and under furniture.